Obituary for Earnest R. Martin | Hooper Memorial Home Inc. Earnest Ralph Martin was born September 30, 1941 in Calhoun County, South Carolina to the Late Lewis C. “Man” Martin and Annie Mae Robinson Martin. He entered into his eternal rest on Thursday, March 29, 2018 at UPMC Pinnacle Community Osteopathic Hospital. He was self employed as a subcontractor Drywall Finisher. He was one of the original members of the quartet group, The Manigault Specials as the lead Guitarist. 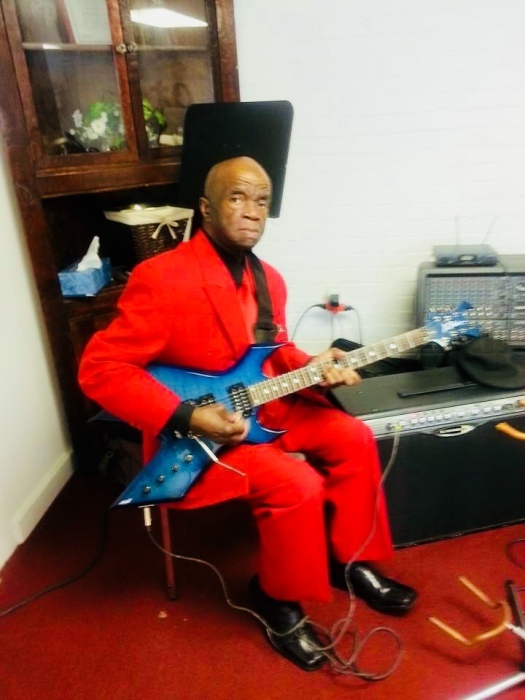 In his past time he enjoyed playing his guitar, writing gospel songs, singing, fishing, and watching Sports; he was an avid 49ers and Lakers fan. He really enjoyed being in the company with family and friends. He is celebrated by his loving wife Dorothy L. Martin of 55 years; his 6 children; Earnest Stanley Martin (Gina), Vickie E. Hutchinson (Cameron), Cynthia A. Clark, Karen D. Hill (Regas), Lar-kay L. Davis (Jason) and Iesha N. Martin. 12 grandchildren and 7 great-grandchildren. He leaves to cherish 3 sisters, Sue Haliburton of Columbia, SC, W. Louise Martin of Swansea, SC, Annie M. Grant of Staten Island, NY; 1 brother Reverend Cleveland Martin (Jerrie) of Harrisburg, PA, sister in law Margie Martin of Brooklyn, NY; a host of nieces, nephews and cousins and friends.